SPONSORED ARTICLE | It is a rare thing for a charity to donate to a corporate, but that is how mecu, one of Australia’s largest and most successful credit unions, acquired the latest property in its award winning Conservation Landbank. It is a rare thing for a charity to donate to a corporate, but that is how mecu, one of Australia’s largest and most successful credit unions, acquired the latest property in its award winning Conservation Landbank. The Judith Eardley Wildlife Association gave mecu $250,000 to purchase The Judith Eardley Reserve, at Ozenkadnook in Victoria’s west Wimmera. The 236 hectare block will protect the South-Eastern Red-tailed Black Cockatoo, a critically endangered species with only 1400 individuals remaining. At the properties recent launch, Director of the Wildlife Charity Peter Hannaford said giving mecu the money to continue its excellent work protecting and replanting prime cockatoo feeding and nesting habitat is the best way to help the species. Rowan Dowland, mecu’s General Manager Development says this collaboration, in the International Year of Biodiversity, demonstrates how the finance sector, NGO’s and the community can work together to address the serious problems of biodiversity loss and climate change. The Conservation Landbank is a world leading initiative that offsets biodiversity lost during new home constructions, and carbon emissions from mecu’s car loans and banking business. The credit union plans to acquire other prime conservation land to help it become carbon neutral by 2011. Dowland says their vision is to develop the biodiversity of the Landbank to support wildlife while building and protecting native bushland. The Landbank is managed by Landcare Australia, in collaboration with the local community. The land is protected against any future development by Trust for Nature conservation covenants. He says projects like this are investments on behalf of their members and the funds used to finance these acquisitions are generated though their responsible approach banking. This same approach has enabled mecu to support the Australian Conservation Foundation’s Just Add Water project which is returning much needed water to the endangered Hattah Lakes Wetland system in Northern Victoria. 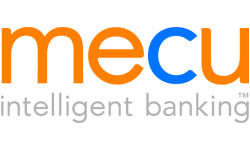 mecu aims to become the pre-eminent socially responsible banking brand in Australia. To achieve this it says it has re-focused its internal processes, developed responsible products and features and has carved out a niche in areas like affordable housing. Dowland says building a profile in affordable housing grew out of their business model which involves looking at the contemporary environmental and social issues around us that are relevant to our banking business and identifying where we can make a difference. mecu is working closely with the affordable housing sector and is investing its owners funds in financing the development of housing projects across Australia. In the past year it has also supported two national housing conferences with the aim of assisting housing practitioners with their professional development. On the internal front, mecu has an environmental management system and has put processes in place to manage paper, waste, energy, travel, water, land procurement and partnerships. Twenty five per cent of the electricity at its Kew head office comes from GreenPower and in 2008 it installed a large array of solar panels on the roof of the Kew building. Water is monitored at all service centres and a 33,880 litre rainwater tank has been retro-fitted at head office for watering the garden and flushing toilets. mecu has committed to a supply chain management system. Over time this will ensure that the suppliers it deals with also have a commitment to sustainability. Dowland says one of the most significant ways mecu can make a difference is by encouraging behaviour change through its products and services. The mutual has a range of loan products and features designed to encourage borrowers to make environmentally positive choices. Examples include loans that provide reduced interest rates for fuel efficient cars, or more competitive home loan rates for purchases or retrofits of properties with a 6 star plus environmental rating. The Eco-pause is another feature offered on home loans to assist members to pay off environmental upgrades in or around the home. The loan products with a social welfare benefit include: a Premium First Home Owners Loan, project finance for community based affordable housing organisations, a Family Loan Repayment Pause and a 100% no more marketing guarantee on all credit card products. mecu has won a number of gongs in recognition of its achievement towards its socially responsible banking goal. These include Your Mortgage Magazine’s 2010 Gold Medal for its Premium First Home Buyers Loan; Victorian Good Corporate Citizen of the Year 2010; it was a finalist in the Sustainability Reporting Category of the 2010 Australasian Reporting Awards having won the award the previous year. In 2009 it won AFR Smart Investor Blue Ribbon Awards for: Credit Union of the Year, its Premium Home Loan and Low rate visa credit card. It also received the Victorian Premier’s Sustainability Award for Products and Services. mecu began as a small banking co-operative in Victoria more than fifty years ago. It is now a flourishing national organisation with assets worth $1.4 billion and140,000 members nationwide.